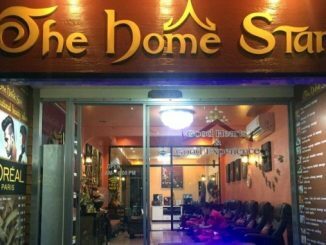 Cha-Am is not especially exciting as far as shopping is concerned, but markets and mini-markets are everywhere, so at least it is convenient to buy what you need. 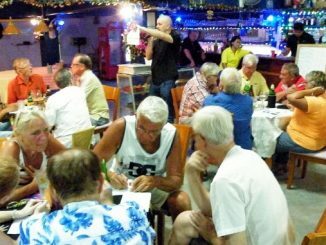 You will find several Seven Eleven along the beachfront, as well as a Tesco Lotus Express, soi North 3/1. On Narathip road are CJ Express and Family Mart. 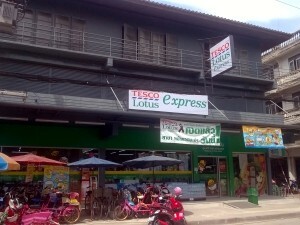 Tesco Express and CJ Express also have a branch near the fresh market. 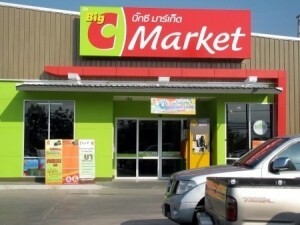 Let’s also mention a “mini Big C” in the gas station where the Mc Donald’s is, near the bypass junction. 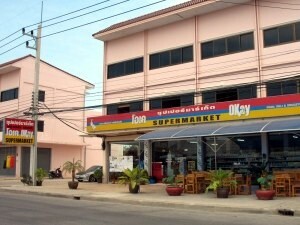 The biggest supermarket in Cha-am is a small Big C Market, on the left side of the road going to Hua Hin, 800 meters after Cha-am main intersection. Other than Big C, the closest large supermarkets are Tesco Lotus in Thayang (on the road to Bangkok), Big C in Phetchaburi, and Makro (north of Hua Hin). 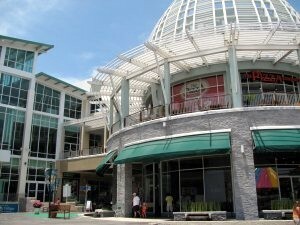 There are two malls in Hua Hin, Market Village (near soi 88/1) and Bluport (between soi 100 and 102). 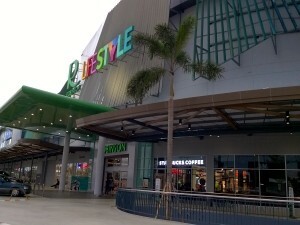 There is a new Robinson mall north of Cha-am, in Phetchaburi. 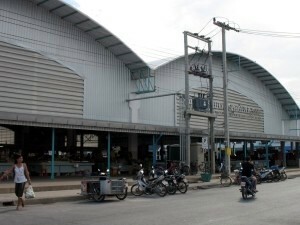 Market Village in Hua Hin. 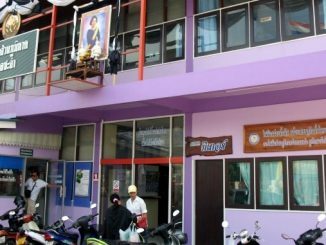 For expats who are worried about where to buy western products, like cheese, chocolate, jam, and whatever else that might not be found in Thai mini-markets, we suggest you visit Okay Supermarket on Narathip Road, or Big C on Phetkasem road (800 meters south of Cha-am main junction). Okay Supermarket on Narathip Road. 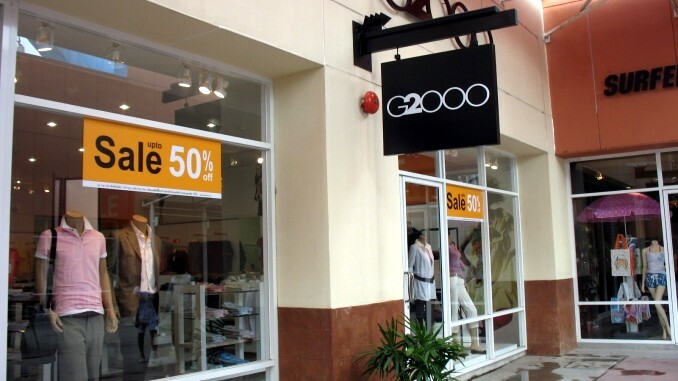 There is a factory outlet a few kilometers outside of Cha-Am, where you can buy branded shoes and clothes at discounted prices. 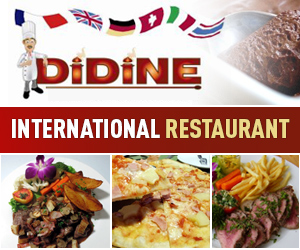 It is located on Phetkasem road, on the left side of the road in the direction of Bangkok, between km 182 and km 183. 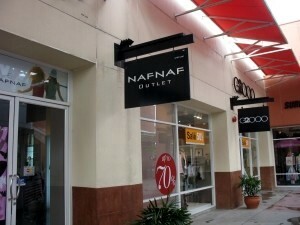 Another outlet can be found 50 km farther north, about km marker 135. 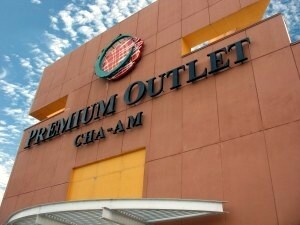 Download the Outlet’s layout map at PDF format (right click/save as). 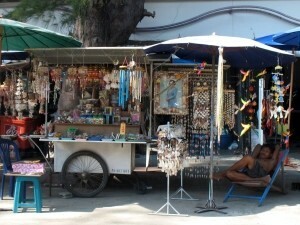 You can buy souvenirs from shops along the beachfront. 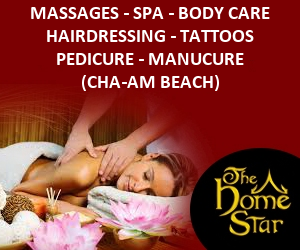 Mostly you will find tee-shirts or sea-shell garlands! If you are after “khong fak”, those Thai style gifts that you bring back from anywhere you have been “teeo”, then head on for Cha-Am South, soi 4, or just spot one of the many pick-ups selling them to groups of people about to board buses or checking out of hotels. Hats and handbags made from hemp (pan-sor-na-rai) are also available at Hup Kapong village, a few kilometers outside of Cha-Am (see our interactive city map for the exact location). 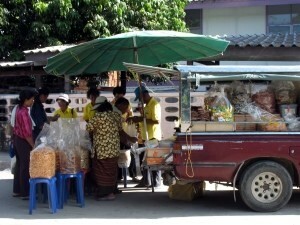 Thai tourists buying “khong fak”. 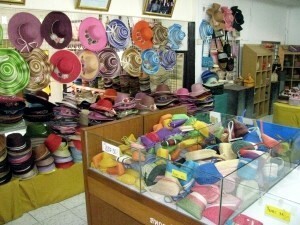 Hemp hats in Hup Kapong Hemp products. 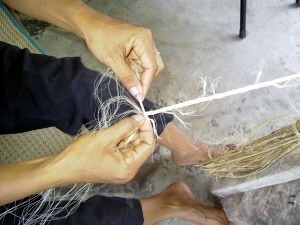 You can also see the fabrication process.